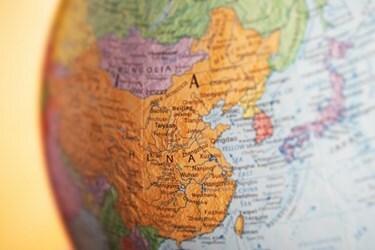 Will China Emerge As A Biosimilar Development Hub? In recent weeks, the FDA and EMA have approved (or moved to approve) new biosimilars to increase competition in the face of rising biologic prices. As the global biosimilar market continues to grow, biotechs — small, medium, and large — are looking to biosimilars as a new and promising business opportunity. However, Gerry McGettigan, COO of amp biosimilars AG (ampb), emphasizes that, as this market becomes more advanced, biotechs will be faced with a choice. In particular, small- and medium-sized companies will need to decide whether they will focus more sharply on biosimilars as a core business pursuit or turn their efforts to other treatments. According to McGettigan, “The Amgens and Pfizers of the pharma industry can afford to have a biosimilars unit. But smaller companies will need to be more focused because competition is becoming fierce.” For pure-play ampb, looking to China has been the best way to build its fledging biosimilar business. Today, Germany-based ampb has only 15 employees. The company has established what McGettigan calls a “mixed” business model. This model emphasizes independent development of molecules plus early outlicensing partnerships in China and certain emerging markets, followed by later stage deals in the EU and U.S. The rights to market the biosimilar outside of the partner’s country remain with ampb. So far, the company has outlicensed two of its biosimilar candidates to Chinese partners for development and is keeping sight on the markets in India, the Middle East, and Latin America for near to mid-term future partnerships. The company also has contract manufacturing organization (CMO) facilities that provide it with the capabilities for early and later stage development of its products. McGettigan says the company can either develop the cell lines and outlicense at an early stage, or take the product through to Phase 1 clinical trials before transferring it to partners to continue development. “We do develop products to fairly advanced stages, depending on the product and the partner,” adds McGettigan. The farther the molecule progresses through development, the more ampb can receive in terms of upfront payment when licensing the molecule. McGettigan also acknowledges the importance of having revenue from earlier-stage products as well. Similar to the traditional biotech company model, “ampb strives to have a mixture of early, medium, and late development-stage revenues, plus royalty streams once the biosimilar goes onto the market so the finances are balanced,” McGettigan explains. But beyond beer, McGettigan sees great potential for the country as a hub for biosimilar development. China has been in the spotlight recently for its efforts to draw more big pharmaceutical companies into the country. There are also initiatives underway to speed up the backlogged Chinese regulatory agency and to bolster quality and pharmaceutical innovation in the nation. China has garnered a reputation for its cheaper and more efficient process innovations — in particular its small molecule API manufacturing process. However, biologic and biosimilar development are more complex and therefore more challenging to manufacture than small molecules. Similarly, these products require strict adherence to EU and U.S. quality standards, and there are lingering concerns about China’s abilities to maintain necessary level of quality. Despite these concerns however, McGettigan argues, “These complicated, high tech processes can still be done as effectively but less expensively in China than in other parts of the world, like Germany, the U.K., or the U.S.” Companies such as CP Guojiang and Pacific Meinuoke, along with an emerging group of smaller players, are all putting the country on the map for high-quality biotech manufacturing, he adds. The country also provides a key benefit for those developing biosimilars. One of the primary challenges to biosimilar development is filling clinical trials with the appropriate patients. Clinical trial recruitment is no mean feat for any drug. But now that biosimilars have begun to emerge, the demand for clinical trial patients has reached a new pitch. In the past 15 to 20 years, there has been an explosion of biological knowledge that has led — and is continuing to lead — to more targeted, effective biologic treatments for arthritis and various lung cancers, among other indications. Biosimilar makers are not only competing against each other for patients, but they are also up against innovator companies that are seeking patients for trials of novel drugs. A Phase 3 biosimilar trial can call for upwards of 400 to 800 patients. To reach and enroll these patients, “Companies have to set up hundreds of centers, which might recruit only three or four patients. Each of these centers has its own fixed cost. Therefore, the cost of the trial becomes exorbitant,” McGettigan says. “When you talk to people about doing business in China, some industry representatives can be skeptical,” McGettigan says. The increasing push by regulators for pharmaceutical quality plays a large role in this hesitance. As has been true in the past, there are still concerns about Chinese drug development not meeting the appropriate quality standards. But there are a number of ways ampb has gone about determining that its foreign partners meet the correct quality standards. Checking that the facilities are up to par with the correct equipment and employing properly trained personnel are obvious imperatives. There is an increasing number of Chinese nationals who have trained and worked in the U.S. or E.U. that are returning to China. Similarly, the Chinese FDA is implementing new, stricter standards. ampb has also found that its Chinese partnerships are strengthened because the company has a partner investor in Hong Kong. “They have helped bridge and mediate many of the discussions between ampb and its Chinese partners,” McGettigan adds. The Chinese have a different way of approaching partnerships than Europeans or Americans. For instance, while companies in the EU or U.S. are more likely to go straight to the deal-making, the Chinese emphasize formality and expect foreign partners to connect and experience Chinese culture prior to signing the deal. The process of forging a partnership with Chinese companies is an exercise in mutual respect and patience. McGettigan describes attending dinners, visiting cultural landmarks, and engaging with political parties and politicians while in the process of building the company’s outlicensing partnerships. For ampb, the first two deals were forged in about six months, which is not that different from deals made in the U.S. or EU. Given the emphasis on learning the Chinese culture, however, McGettigan advises that more time be allowed for making deals. “The Chinese are very respectful, and they want first and foremost to generate trust between the potential partners,” he explains. Having ampb’s investment group in Hong Kong has also helped build that trust, as its permanent presence in the country shows commitment to the locale. “It’s important to the Chinese people to see that you have some representation in China and that you are prepared to go there to visit them regularly,” says McGettigan. However, for every partnership there also has to be a balance. There can be no compromise over quality or legal matters. In order for ampb to trust that Chinese partnerships were best for the company’s business model, prospective partners needed to demonstrate they were committed to producing true biosimilars, as opposed to copies of substandard quality. Striving for such levels of quality is extremely challenging. Indeed, McGettigan and other experts have argued that biosimilars are just as challenging — if not more so — to manufacture than novel drugs, because of the need to compare the biosimilar to the tight analytical ranges set by the novel product.